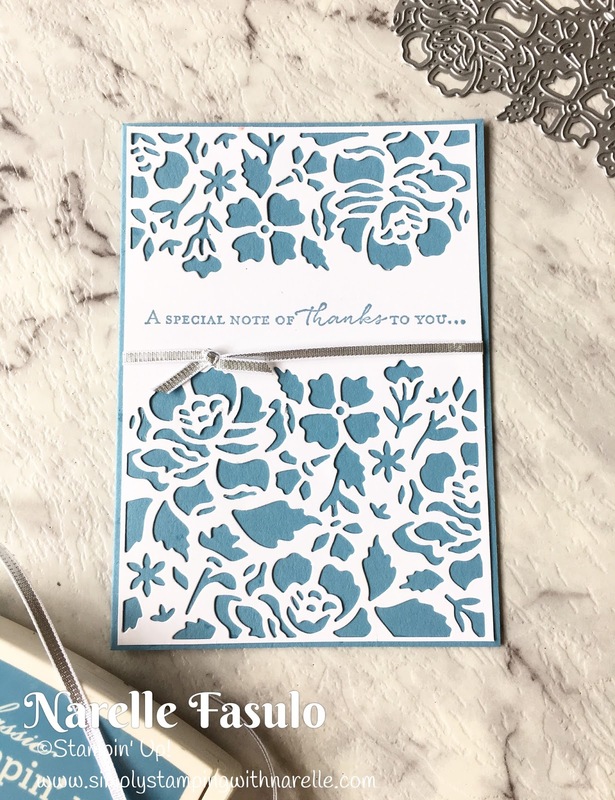 Are you after a super simple and super quick card to make. One that looks amazing but takes next to no time to do. Then you need to check out out Detailed Floral Thinlits. 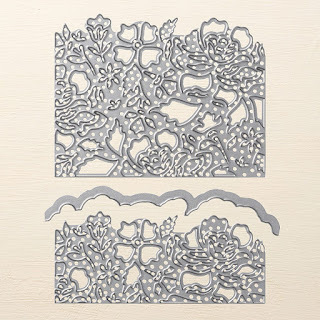 Create die-cut floral designs and edges with these beautiful dies. Just like the card I have to show you today. This is such a delicate card. The colour can be changed so very easily to suite any taste. All I did was cut the whisper white card stock and place it over the blue back piece. A different colour back piece and you have a completely different look. 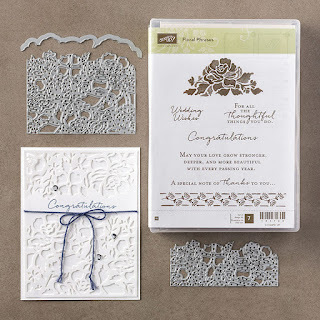 The framelits come in a bundle with the Floral Phrases stamp set.The best thing about the bundle,is that it is 10% off. 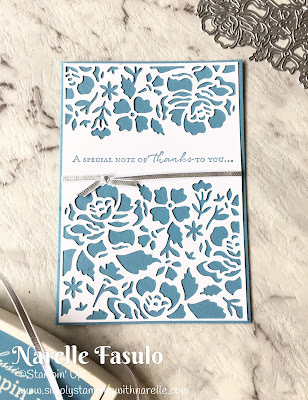 Thus bundle makes for beautiful special occasion cards.